NO MATTER WHAT, WHERE, OR WHY. When Nature Is Unpredictable, You Need the World's Best-Engineered Phone at Your Side. The world might be getting smaller, but humanity hasn’t conquered some of the world’s most inhospitable environments just yet. When out in the world’s toughest environments adventurers, emergency personnel, the military, and government agencies choose the IsatPhone as their telecommunications device of choice. High-Contrast. Ambient light sensor. LED Tracking & Status Indicators. Visible Color Status Icons. Durable hands-free rest. Use while you are using your hands-free wired or blue-tooth headset or speaker. 8 hour talk-time, 160 hour standby time. Li-Ion 3.7 volts, High-capacity extended life battery. Fold-out Directional Antenna. Receive notification of inbound calls even with antenna stowed. Send SMS & email GPS coordinates of your current location to recipients or, alternatively, to a tracking portal. To use the wired handsfree headset, connect it to the audio port, under the protective cover. Used to charge the phone via AC charger, car charger & USB Port. Also to apply firmware updates. Loudspeaker can be activated any time during the call enabling you to use your phone in hands-free mode. Fast network registration in under 45 seconds. Extremely reliable global connection. Fewer dropped calls. In a critical situation instantly sends GPS location data and text to pre-set emergency number. Outside of civilization, the world can be a tough place. When things go wrong, it could be a matter of life or death. The IsatPhone’s assistance button makes it easy to call for help in a bad situation by sending out your GPS location data and an SMS to an emergency number of your choice. The IsatPhone is the king of handheld satellite phones for a good reason. The rugged build of this handset offers 99.99% global coverage – meaning you really must go to the back of beyond to get no reception. Combined with a battery life that leads the market, crystal-clear voice quality, and reliability that no competitors match, this phone can tackle everything from the red-hot heat of the desert to the white-ice cold of the poles and everything in between. In short, the IsatPhone 2’s price gives you plenty of bang for your buck and then some – professionals in jobs where nature fights them daily won’t leave home without it. Just because you’re going to some of the world’s most remote locations, it doesn’t mean you also have to go back in time. With a constant connection to Inmarsat’s I-4 global geostationary satellites, the 99.99% uptime offers high voice quality. The new IsatPhone 2 offers cutting-edge technology to deliver ease of use and a familiar device experience for your comfort – even when you are far from your comfort zone. Need options? 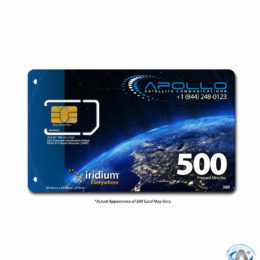 Apollo Satellite offers multiple service package to meet your unique needs, including a Global Monthly Service, a North American Monthly Service, and a Prepaid Service to help you pick an option that’s calibrated to your specific needs. Our rates are affordable without compromising some of the best features on offer when you use the IsatPhone 2. Combined with our promotional deals, you won’t find a better IsatPhone 2 price on the market! Take a look at our service plans below to discover what they offer, or contact us today to speak with a representative about your needs to quickly find the best one for you. The IsatPhone 2’s rugged body offers a reassuringly chunky appearance without sacrificing on good looks or useful features, and it can handle temperatures between -20 to 50 degrees Celsius and humidity up to a sweltering 95%. IsatPhone 2 coverage is worldwide, apart from the Poles. Calls are made via a single, global network so there are no roaming charges.ur global I-4 satellite network, ensuring reliable call stability and seamless roaming worldwide. IsatPhone 2 customers on monthly plans can benefit from free-of-charge worldwide emergency assistance from GEOS. Once configured, a single push of the assistance button will send a message to the GEOS’ 24/7 emergency response center, who will get in touch with you, and liaise with the most appropriate emergency services to get you the help you need. With the release of the IsatPhone 2, Inmarsat stormed ahead of the competition with a device that effortlessly took pole position in a number of categories – no other phone offers 8 hours of talk time with an incredible 160 hours of standby. Combined with one of the lowest handset prices on the market, the IsatPhone has taken its crown as the premier headset for people in tough places and tough situations. 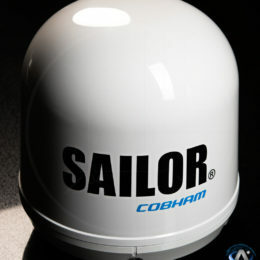 While this information has been prepared in good faith, no representation or warranty, express or implied, is or will be made and no responsibility is or will be accepted by Inmarsat in relation to its accuracy or completeness. Comparison data is based on publicly available information. IsatPhone 2 comparison May 2016. CAN THE ISATPHONE PRO 2 SURF THE INTERNET? If you are hoping for a full internet solution, then the answer is no: the 2.4KBps speed is 20 times slower than the dial-up that was commonly used just before the switch to broadband (56K) – in short, it’s possible, but Hell may well freeze over first. However, it is possible to access satellite phone email and weather data from GRIB files or to use voice services such as call centers to take care of banking, or even have the news read to you. The IsatPhone is primarily a handheld voice communications service that offers global communication at a relatively low cost for both the hardware and the airtime. If you are seeking internet connectivity too, there are better solutions out there – our expert staff at Apollo Communications can assist you in finding the perfect kit for all of your telecommunications needs out on the field. For a limited time only, Apollo Satellite is offering three different promotions that you can take advantage of when ordering your IsatPhone 2 Pro. While humanity hasn’t quite tamed the tough beast that is Mother Nature at her most extreme, the Inmarsat IsatPhone 2 offers a tough communications device that lets you stay in touch with home and get help in an emergency, making it an essential in your toolbox. At Apollo Satellite, we’re here to help you make the right choice with your satellite phone headset and service plans. If you have any questions or need any help, you can contact us today by calling (844) 248-0123 for a free consultation to help you make the right decision.